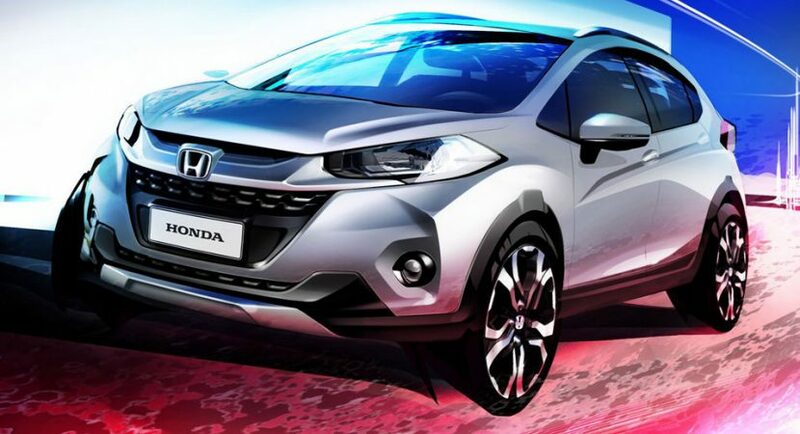 Honda is trying to bring a fresh feel to the carmaker`s SUV segment on the South American market, the Japanese carmaker planning to introduce a fresh new sub-compact which would be launched in Brazil, under the WR-V moniker. The small SUV segment, especially in the North and the South American markets, is extremely appreciated, especially because of their practicality when using them for every day purposes. Honda is trying to tackle the aforementioned segment with the new WR-V. The carmaker has also released the first sketch with the WR-V SUV. The acronym stands for “Winsome Runabout Vehicle” and hints at an extremely practical SUV used for commuting or different outdoor activities. The sketch is actually a teaser ahead the SUV`s official introduction at the 2016 Sao Paolo International Motor Show, debuting next month, the model being added to the carmaker`s lineup in South America. There are little details depicting the car`s body styling and design lines, but judging by the way it looks in the sketch, the model will be extremely appealing and aggressive at the same time. We should expect a prominent body crease with horizontal lines along the doors. Other outstanding features might also refer to custom front fascia with aggressive design cues, one-off headlights and small grille. We expect fresh details, especially in the engine department, at the 2016 Sao Paolo International Motor Show, next month.